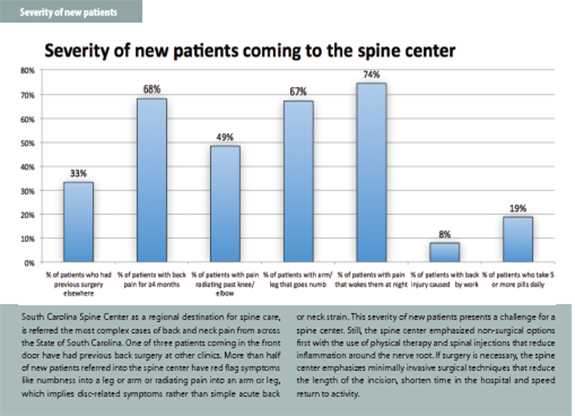 Recognizing the national trend toward a Center of Excellence approach for complex health problems, South Carolina Spine Center was created by Self Regional Hospital to improve the care of back and neck pain. 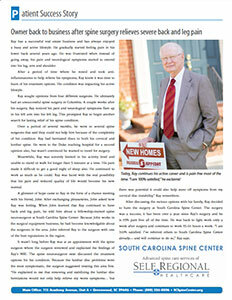 South Carolina Spine Center emphasizes non-surgical treatment options in advance of spine surgery. 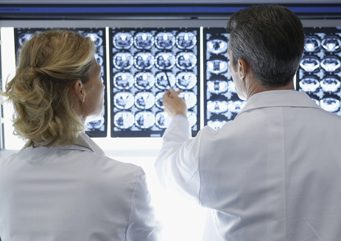 If spine surgery is needed, the spine center has three fellowship-trained neurospine surgeons — the highest level of medical education possible. 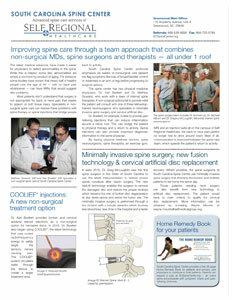 Minimally invasive spine surgery techniques enable many patients to go home the same day to recover in their own home. We have in one location spine surgeons, non-surgical spine specialists, spine therapists, exercise gym, pool, x-rays, MRI, injection suite and the most advanced operating room environment. 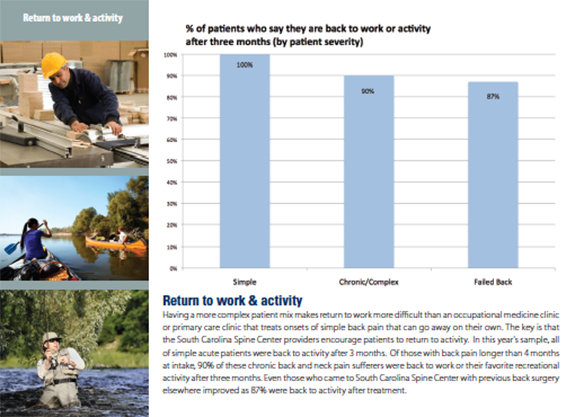 Residents across South Carolina or North Carolina who suffer from an attack of back or neck pain often travel to many cities and clinics in their quest for relief of pain symptoms. Along the way, they can receive treatments, diagnostic studies, contradictory advice and treatment that is often way too aggressive for the symptoms they display. 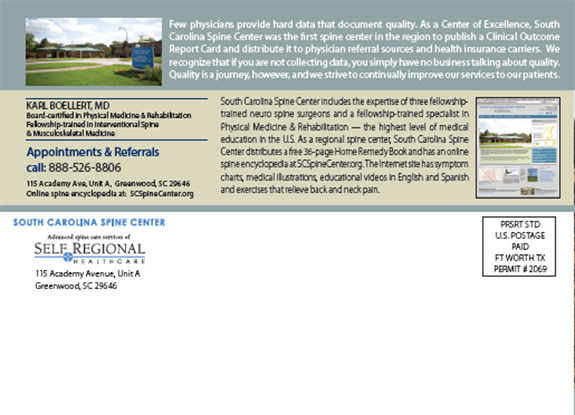 South Carolina Spine Center recognizes the national trend in spine care is to take a Center of Excellence approach, with a multidisciplinary team of spine specialists working together under one roof, emphasizing nonsurgical options. Dr. Karl Boellert, a board-certified physical medicine and rehabilitation physician who is fellowship-trained in spinal injections who specializes in non-surgical care of back and neck pain. Dr. Mathew Gowans, a physical medicine and rehabilitation physician who specializes in non-surgical care of back and neck pain. 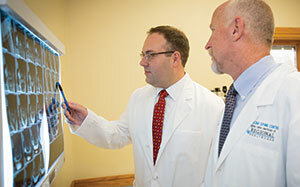 Michael Kilburn, MD, a board-certified neurological surgeon who is fellowship-trained in spine surgery. 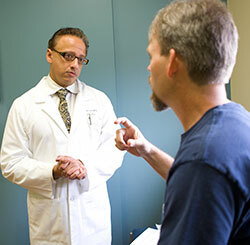 Sumeer Lal, MD, a board-certified neurological surgeon who is fellowship-trained in spine surgery. Gregory McLoughlin, MD, a board-certified neurological surgeon who is fellowship-trained in spine surgery. Fellowship-training is the highest level of medical education possible. A fellowship in spine means that the specialist has done an additional year of training in a spine center environment learning the most advanced methods of spine care. Within the same building are spine therapists who help many patients back to activity without surgery. These spine therapists have an internal exercise gym where patients learn specialized stretches to reduce pain symptoms and strengthen the back and neck to make it more flexible and resistant to future strain. 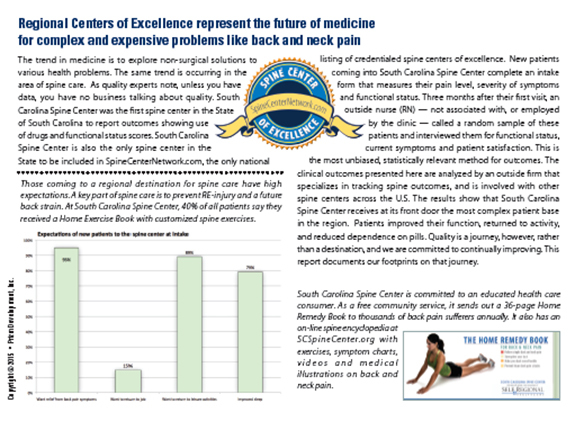 This addresses the prevention aspect of the treatment process to reduce future back strain and injury. 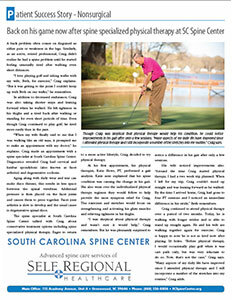 What makes South Carolina Spine Center unique is its emphasis nonsurgical treatment options to back and neck problems. This can include spine-specialized therapy or the use of spinal injections which can relieve pain symptoms. Spinal injections can also provide new diagnostic information to the spine care specialist about what is causing your pain symptoms. Dr. Boellert is proficient in pain-relieving cervical, thoracic, & lumbar epidural injections, facet injections, medial branch blocks, and radiofrequency ablation as well as sacroiliac joint injections. This includes the new COOLIEF*, the latest technology that uses cooled energy to safely target the sensory nerves causing pain. The COOLIEF* system circulates water through the device to create a larger treatment area and more successful pain relief. EMG tests provide by the physiatrist can also reveal the extent of neurological problems that may be caused by a herniated disc. If your back or neck problem requires surgery, the spine specialized neurosurgeons and South Carolina Spine Center already treat the region’s most complex surgical cases. These cases include herniated discs, spinal fractures and spinal tumor. Our surgeons use some of the most advanced instrumentation and spine surgery techniques. In early 2016, Dr. Greg McLoughlin was the first spine surgeon in the State of South Carolina to use the latest instrumentation to restore proper spinal curvature after fusion surgery. The new VariLift technology enables the surgeon to remove the damaged disc and restore the proper lordosis which lessens the risk of further disc degeneration at disc levels above and below the fusion site. The minimally invasive surgery is performed through a tiny incision with a tubular retractor which involves less blood loss, less time in the hospital and a faster recovery. 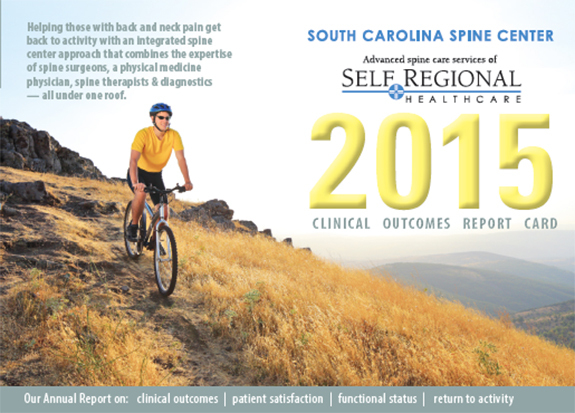 Where possible, the spine surgeons at South Carolina Spine Center use of minimally invasive techniques that shorten the incision, reduces blood loss, enables patients to be home the same day and speeds return to activity through a less painful recovery period. 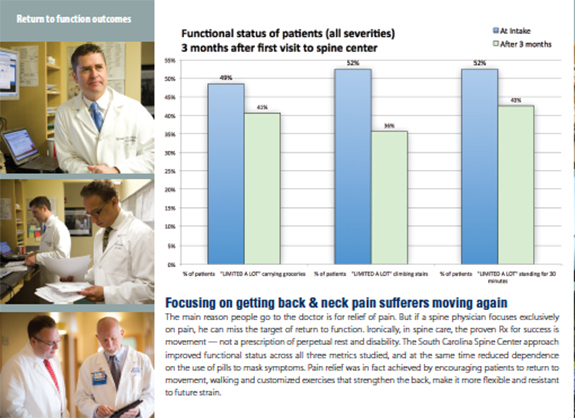 Those patients needing neck surgery can also benefit from new technology in artificial disc replacement. The patient would have to meet criteria to qualify for cervical disc replacement. By having physical medicine doctors, spine neurosurgeons, spine therapists, an exercise gym, MRI and an injection suite — all under one roof — on the campus of Self Regional Healthcare, the back or neck pain patient no longer has to drive around town. 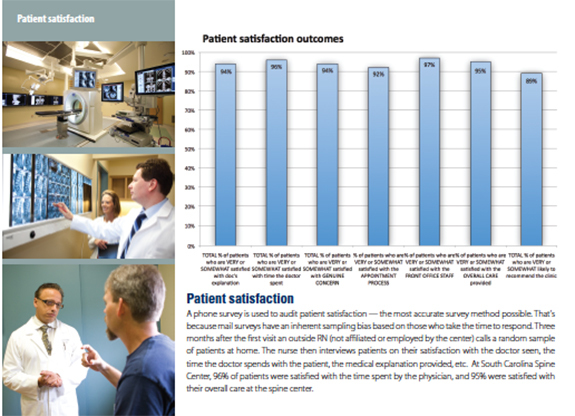 Best of all, communication is improved between the spine care team, which speeds the patient’s return to activity.